Detects a band at 200kDa representing Nestin in MEFs. Denaturing of WB protein lysate causes loss of Nestin immunoreactivity in WB. , corresponding to amino acids 1481-1497 of Human Nestin. 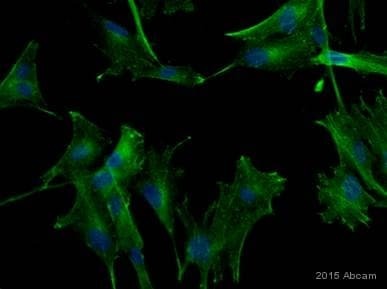 ab7659 has been upgraded from Fast Track status based on data obtained in a new batch of this antibody. Our Abpromise guarantee covers the use of ab7659 in the following tested applications. WB 1/500 - 1/3000. Detects a band of approximately 200 kDa (predicted molecular weight: 176 kDa). Do not denature WB protein lysate, denaturing results in loss of Nestin specific immunoreactivity (See Abreview). Observed band size: 230 kDa why is the actual band size different from the predicted? A slightly higher band obtained than expected, but as predicted in the datasheet. Denaturing of the WB lysate results in a loss of Nestin specific immunoreactivity. NB: Equal protein loading was verified. Publishing research using ab7659? Please let us know so that we can cite the reference in this datasheet. 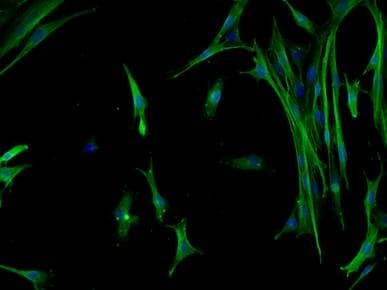 I just ordered one Anti-Nestin antibody - Neural Stem Cell Marker (ab7659) from your company 5 days ago. I am supposed to use this antibody for immunofluorescence experiment. 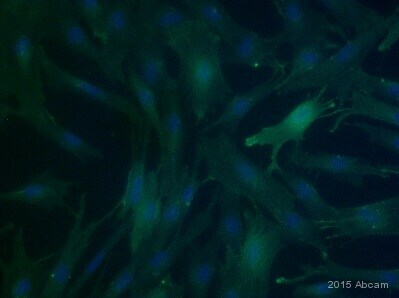 However, I just find out that this antibody is for WB, and it "is unsuitable for ,ICC/IF or IHC-P". 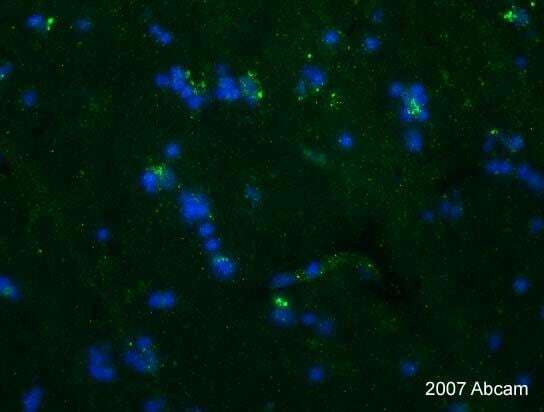 Would you please briefly explain why this antibody is not is unsuitable for ,ICC/IF or IHC-P? Thanks very much! Thank you for contacting Abcam regarding ab7659. These applications have been listed as unsuitable as we have obtained a range of feedback stating that the antibody is staining nonspecifically in these applications. 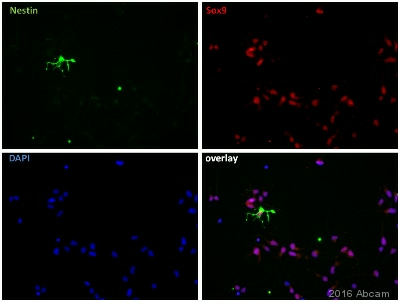 If you have not used this antibody, you can return it to us. Please contact us for additional details. I hope this information is helpful. Please do not hesitate to contact us if you have any additional questions.